Hundreds of thousands of Californians, mostly in disadvantaged communities, currently lack reliable access to safe drinking water and many also do not have adequate wastewater service. One of the key elements of Proposition 3 makes unprecedented levels of funding available to help provide these Californians with safe drinking water and wastewater treatment services. $500 million for grants and loans for public water system infrastructure improvements and related actions to meet safe drinking water standards and ensure affordable drinking water. Priority will be given to small water systems serving disadvantaged communities for projects that provide treatment for contamination or secure access to an alternate source of drinking water. $250 million for grants and loans for wastewater treatment projects. Priority will be given to projects that serve disadvantaged communities and projects that address public health hazards. These projects may include, but are not limited to, projects that identify, plan, design, and implement regional mechanisms to consolidate wastewater systems or provide affordable treatment technologies. 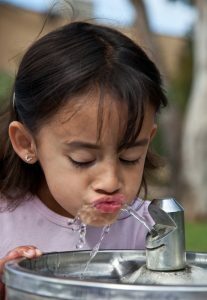 $10 million to the State Water Resources Control Board’s Office of Sustainable Water Solutions to implement a multidisciplinary technical assistance program for small and disadvantaged communities and support the involvement of those communities and the public in the implementation of the Sustainable Groundwater Management Act. Proposition 3’s $760 million to improve access to safe drinking water and adequate wastewater treatment services builds on other efforts underway to address these issues. 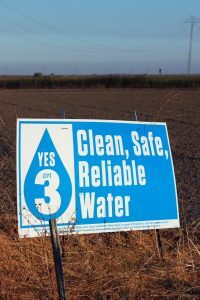 Proposition 3 follows the funding model established by Proposition 1, which included $520 million for safe drinking water and wastewater treatment, that has successfully delivered projects in communities across California. Proposition 68, which was recently approved by California voters, also included $250 million for related projects. Proposition 3 also contains $675 million for projects and programs that support sustainable groundwater management. In certain areas, including in some disadvantaged communities, this funding can help provide access to safe drinking water. Leaders in the Sacramento Valley are fully committed to advancing a comprehensive approach to help ensure that all Californians have access to safe drinking water. The targeted funding included in Proposition 3 is a key element of this comprehensive approach to providing sustainable solutions.